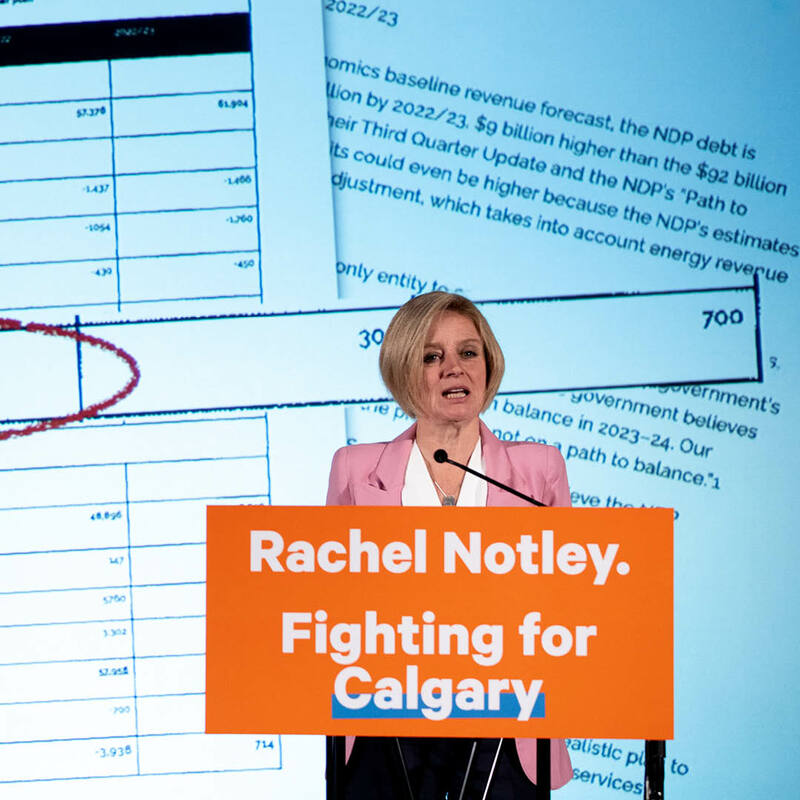 Rachel Notley says that a plan to slash Alberta’s corporate income taxes won’t just hurt education and health care, it doesn’t even add up. Jason Kenney has promised a massive one-third tax cut for banks and big companies, accompanied by promises that the plan will pay for itself. But according to the UCP’s own projections, Kenney’s idea will blow a $2.36-billion hole in the budget over the next four years. Despite Kenney’s promises of immediate economic growth, the dramatic tax cuts won’t actually generate any revenue for at least two years, according to his own projections. Notley says that Kenney’s plan doesn’t add up. Assessments of the UCP plan show other problems with Kenney’s trickle-down approach. According to Treasury Board and Finance projections, the impact of massive tax cuts to the deficit could be as high as $4.5 billion. That would be enough to fund two major new hospitals or 224 new elementary schools. However you slice it, cutting out billions in revenue will leave a massive gap in the budget, at least $2.3 billion. While Kenney claims that the corporate giveaway “is projected to be self-financing,” his own documents show that it’s more like magical thinking. The tax cut won’t be self-financing over the next four years. Simply put, Kenney’s rhetoric is at odds with his own plan. While Kenney’s platform is full of plot holes, it’s not an accident that it doesn’t include the 15,000 additional kids who will walk into classrooms in the fall. Or the growing number of patients who will need hospitals. Alberta needs a leader who will defend jobs and spark new investment, Notley says, while also taking a growing population into account. Taking services away from seniors and hospital patients will only hurt families. Notley’s first pledge of the campaign was to significantly increase the volume of oil and gas that is processed, upgraded or refined in Alberta. Notley’s plan is estimated to secure $75 billion in mid-to-downstream private capital investment—including new investment from Calgary-based companies—and create 70,000 jobs. In addition to a promise to maintain Alberta’s $11-billion tax advantage over every other province, it’s a plan that shows she is fighting for Albertans.